We had another Angiolo (ARG) exacta yesterday! This time Absolute Truth (ARG) was the winner, finishing a half head in front of Ametz (ARG) in a 1000m conditional at La Plata. No video up yet, but I'll post it as soon as it shows up. I'll update if I find out more. Found these photos of Alegrate Chuck (ARG), a filly from Chuck's first crop...somebody looks like their daddy! Grand had the sales topper in the yearling sale--Prom Party (ARG). Pat Rafter (ARG) was 6th. Caipi Osaka (ARG) was 10th. Grand is a very good sire in SA, but Angiolo (Arg) is outstanding! Dona Bicoca (ARG) was 6th. Angiolo (ARG) had one runner today, Amazing Gloria (ARG), who was 2nd in a 1000m race. Since last Saturday, Grand's had 6 winners (and a 2nd in a graded stakes). Angiolo had winners 3 days in a row. Both stallions have several runners this weekend, including entrants in a G3 stakes, Jackman (ARG) for Grand and Apricot Nectar (ARG) for Angiolo (ARG). Nominations for the G1 Gran Premio Maipu on November 11 are posted and Grand has three on the list: El Sabueso (ARG), Honour Pact (ARG), and Legion de Honor (ARG). La Embelesada (ARG) was 7th. Par De Jotas (ARG) WON a 1000m maiden race by 1 1/2 lengths at La Plata! Jackman (ARG) was 3rd in the G3 Clasico Benito Lynch. Grand Pantaleo (ARG) was 11th. Senor Reward (ARG) was 12th. La Barre Doce (ARG) was 5th. Grand Compas (ARG) was 8th. El Grand Juego (ARG) was 11th. Panamericana (ARG) WON an 1100m conditional race by 3! Gran Faro (ARG) WON an 1100m conditional race by 2 1/2! Martin Gran (ARG) was 8th. Grand Bailarina (ARG) was 8th. India Reward (ARG) was 11th. La Sandunguera (ARG) was 6th (La Plata). Desquitado (ARG) was 5th (La Punta). Antique Song (ARG) WON a 1000m maiden race by 5! La Noche Estrellada (ARG) was 6th. Apricot Nectar (ARG) was 7th in the G3 Benito Lynch. 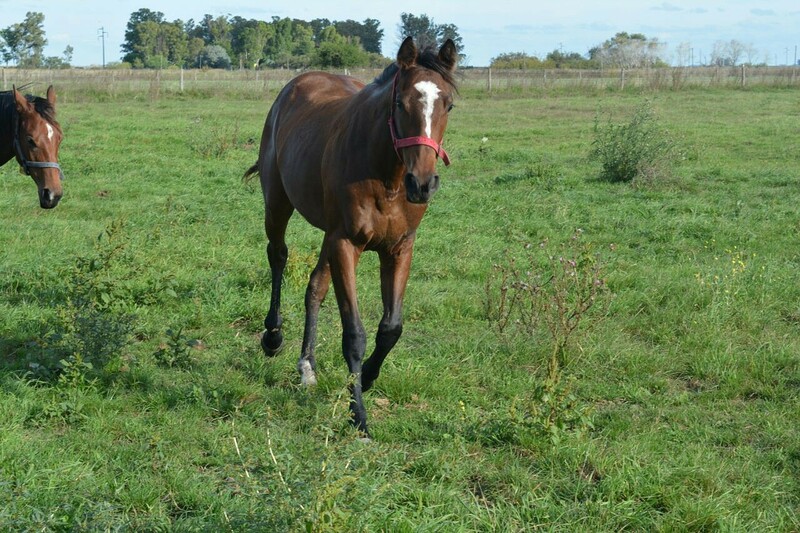 Mary Camille (ARG) was 3rd in the listed Clasico Asociation Cooperativa de Criadores de Caballos de S.P.C. Her 1st stakes placing! Well, it turns out the 1st foal of Chuck Berry (ARG) to make it to the entries isn't one of these 3 colts, but a filly. More specifically, it's Alegrate Chuck (ARG), the filly whose photos I posted! She's a homebred for La Catedral, who about a month ago thought she'd be ready to race in December. She has advanced so well in her training that she's entered in the 3rd race at La Plata on November 9, in the 2nd division of the Clasico Precoces (800m) for 2YO fillies. La Pininfarina (ARG) was 4th. Fast Forward (ARG) was 2nd. Bien Ligero (ARG) was 3rd. All About Eve (ARG) was 2nd. Mister Peco (ARG) was 8th. Win The Match (ARG) was 2nd. Top Master (ARG) was 5th. 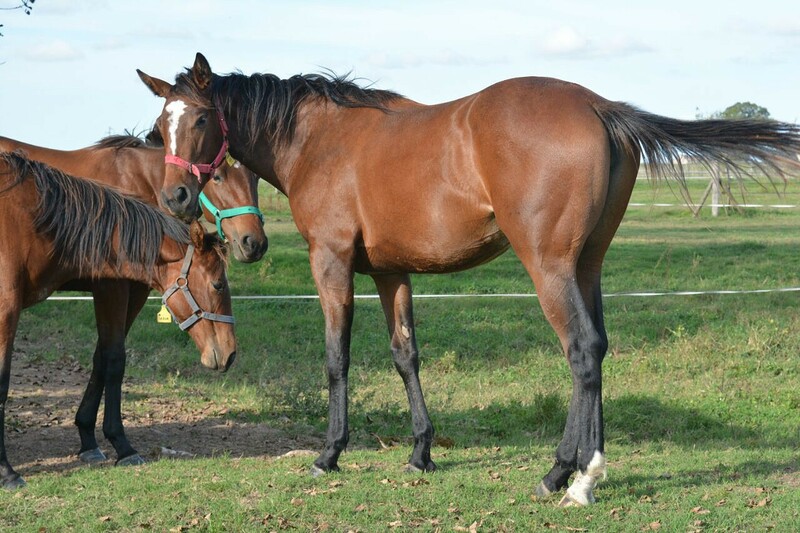 Honour Pact (ARG) was 6th in the Maipu. El Sabueso (ARG) was 8th in the Maipu. La Bella Maria (ARG) was 6th. Grand Bailarina (ARG) was 11th. Looks like Guys Reward is now at Swifty Farms for a $1000 K fee. They also stand Benny the Bull among some others that you may recognize. They dont have Guys pic up yet, but according to SR- he is there. Got a reply from Swifty farms- he is doing very well, and they said he is a very nice horse to be around.